Building backlinks is arguably the most important part of modern day SEO. Website and article directories are an excellent way for webmasters to promote their websites. Article and Web Directory Submissions can build backlinks, increase exposure and traffic. Directory Critic is a link building resource. We list search engine friendly web and article directories for webmasters to use as site promotion tools. Our lists include general, niche and article directories. We want to help all the webmasters struggling with their link building and all the lists are made available to you at no cost. One of the largest human edited web links directory with manual link validation and great count of daily visitors. A very strong pagerank 5 Directory. Featured links for only $19.95. 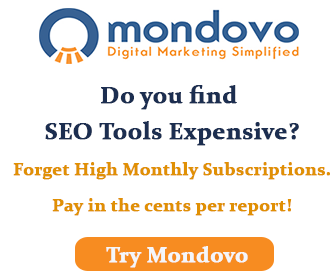 Try Mondovo's Rank Tracker to monitor your search engine rankings for as many keywords and sites. Try Mondovo's Keyword Research to generate relevant keyword ideas for your target phrases. Use our partner service, Directory Maximizer, to build links from the best web directories on the web. Try Social Maximizer to have your blog posts and articles promoted amongst the various popular social bookmarking sites and stand a chance at increasing your web traffic.